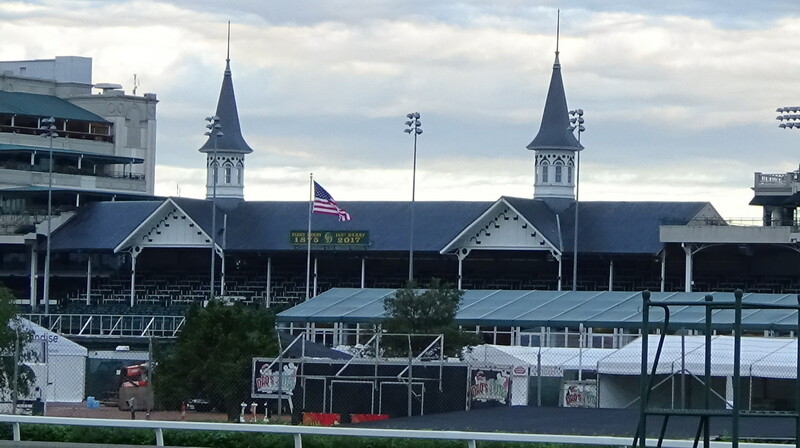 Every year, I look forward to spending time at the track as everyone prepares for the Kentucky Derby. 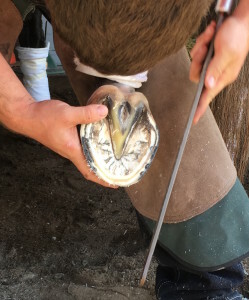 While everyone is enjoying all of the festivities, the farriers are hard at work making sure the horses are ready to run. 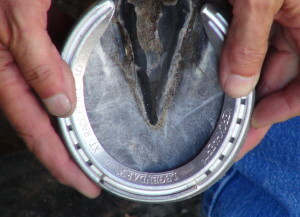 I was able to meet farrier Jim Jimenez at Keeneland this week and observe as he shod Bluegrass Stakes winner and Kentucky Derby contender, Irap. 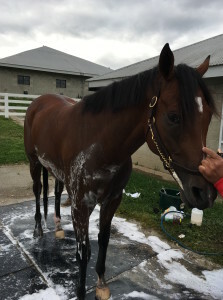 Jim has worked with trainer Doug O’Neill for several years and the two have enjoyed tremendous success; winning the Kentucky Derby last year with Nyquist and the 2012 Kentucky Derby with I’ll Have Another. Team O’Neill looks for big things from Irap this year and it was a pleasure to watch him train and be fitted with his new Kerckhaert race plates. 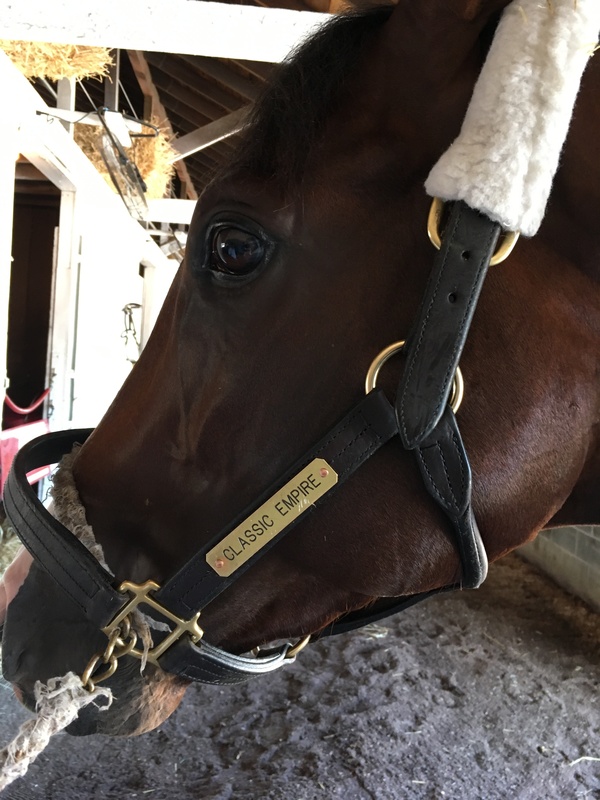 Todd Boston was at Churchill Downs fitting 2017 Two-Year-Old of the Year and Breeders Cup Juvenile Champion, Classic Empire, with new Kerckhaert race plates in anticipation of the 2017 Kentucky Derby. Classic Empire won the Arkansas Derby on April 15, 2017 for his final prep race before the Kentucky Derby. Todd Boston fitted the colt nicely with Kerckhaert Kings RT Hinds and Kerckhaert Legendary XT fronts. The Mark Casse trained Classic Empire will be the probable 2017 Kentucky Derby favorite. 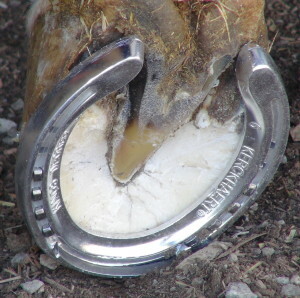 Congratulations to Todd Boston and Team Casse. Best of luck in the upcoming Run for the Roses. Ray Amato and Ray Amato Jr. drove to Churchill from Florida to shoe the horses that are racing this week for leading trainer Todd Pletcher. 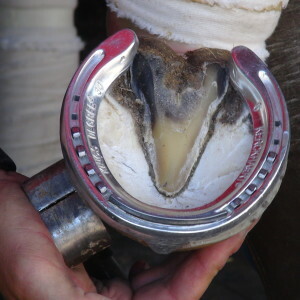 This included Kentucky Derby horses Always Dreaming and Patch. 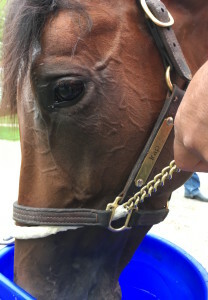 After finishing their work at Churchill, they got in their truck for the drive back to Florida where they shoe horses at Todd Pletcher’s stable at Palm Beach Downs Training Center. 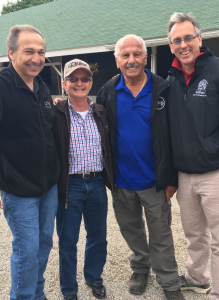 It’s always a pleasure to visit with the Amato’s; two farriers that truly love what they do. Ray Sr. was interviewed several times and is always gracious enough to talk with everyone. 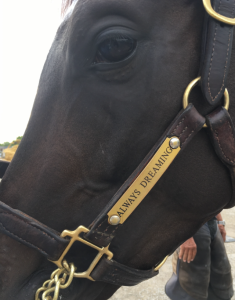 He would love to shoe another Kentucky Derby winner and he has three chances for Todd Pletcher with Always Dreaming, Patch and Tapwrit. 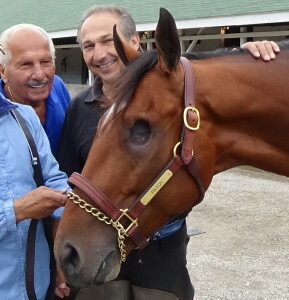 Best of luck to the Todd Pletcher team and to the Amato’s. 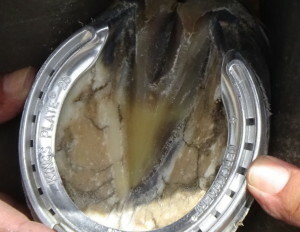 Spring brings a lot of top farriers to Kentucky for the Keeneland race meet and Churchill Downs Derby week. 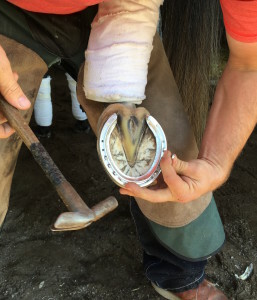 Jimbo Bayes is the farrier for prominent North American trainers Bill Mott and Claude “Shug” McGaughey, III and has been shoeing for years. He learned the trade from his father, Jim and Jimbo’s son, JT, is following in their footsteps; working everyday alongside his father. I always enjoy watching these two working together and it is clear JT has the skill set of his father and grandfather. 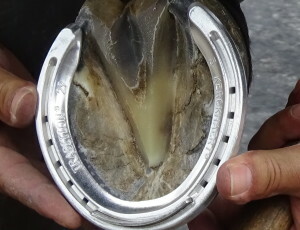 They fit their horses with Kerckhaert Legendary XT fronts and Kerckhaert Tradition hind shoes. 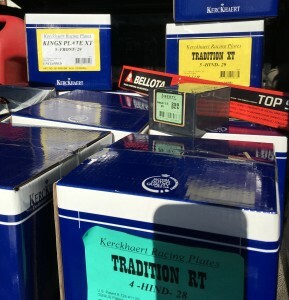 Kentucky Oaks contender, Lockdown, got her new Kerckhaert shoes fitted this week. 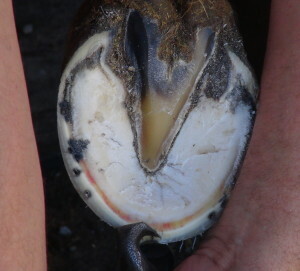 Good Luck to Team Mott, Jimbo, JT and, most importantly, Lockdown.